A new YouTube documentary produced by SBS traces one of the most little known but extraordinary stories of migrant settlement in Australia. 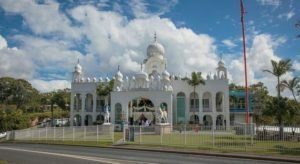 The documentary tells the story of the Sikhs of Woolgoolga, a small NSW town 550 kilometres north of Sydney. 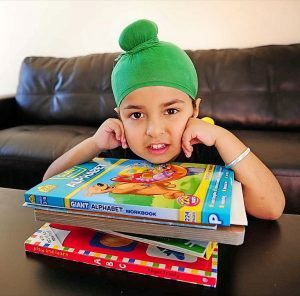 The community there forms one of the early chapters of Indian migration to Australia. 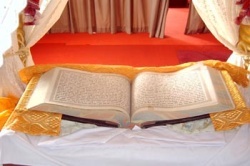 The Guru Granth Sahib Ji is truely unique among the world's great scriptures. It is considered the Supreme Spiritual Authority and Head of the Sikh religion, rather than any living person. It is also the only scripture of it's kind which not only contains the works of it's own religious founders but also writings of people from other faiths. 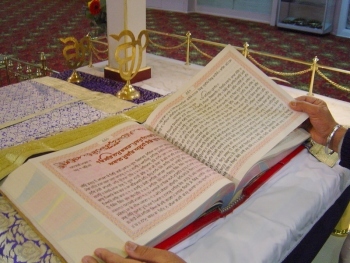 Sikhs celebrate the first installation of Sri Guru Granth Sahib Ji on 1st September and the Conferment of title of “Guru” on Sri Guru Granth Sahib Ji on 20th October each year.